No Fuss Events have a reputation for putting on some of the best mountain bike events in the country and the Tour de Ben is no exception. 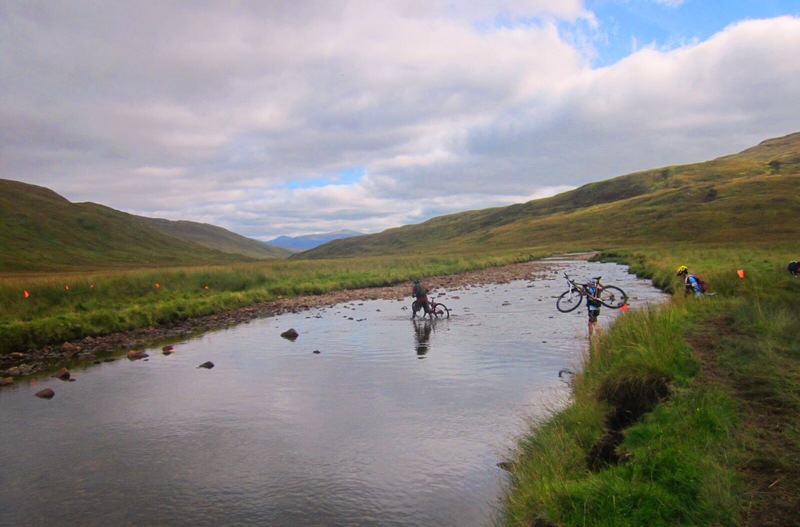 The No Fuss team have cleverly taken a classic route through iconic Scottish highland terrain and turned it into the kind of adventure challenge that has become my favoured way to hurt myself. And this Saturday I hurt along with 300 other riders. The format of the TDB is unique. 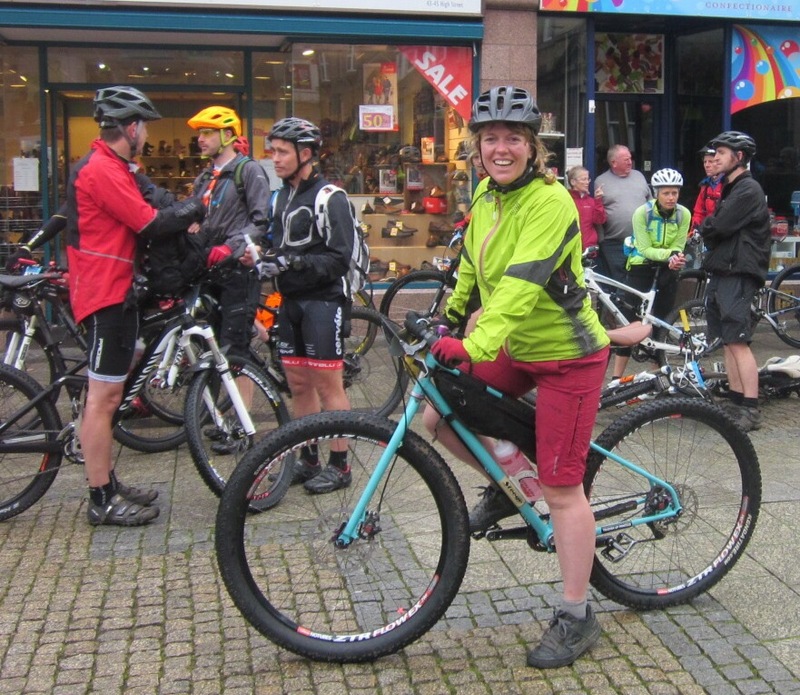 It’s an enduro race (timed stages within a set untimed route) only the set route was a 50 mile circumnavigation of The Ben Nevis massif and, just for fun, it was also timed. This effectively means that if you want to finish competitively placed you have to race a long travel bike the whole time leaving you ragged for the set stages which were also (obviously) not your typical enduro stage. Stage 1 is a short, steep, technical descent on the West Highland way into Kinlochleven. Stage 2 begins as a brutal uphill grind on loose double track to from Mamore Lodge before turning into a torturous rolling to Loch Eilde Mor. Stage 3, a loooong push / carry up to a rough col and then a descent into the next glen, has seen gown men in tears. Stage 4 involves more steep, technical riding on the built trails in the Leanachan forest only by now you are operating on sheer will power and trying to control your bike using cramping muscles. Have I made that sound like fun? It actually really is. We assembled on Fort William high street at 9.30am, the place buzzing with anticipation too great to be dampened by the falling drizzle. Jen and I wiggled our way to the front of the pack to meet up with Rob Friel before the Lochaber Pipe Band lead us out to the end of the pedestrian walkway. What happened next was an assault on my poor, underprepared body. An hour long road drag up to the West Highland Way made every cell scream at me to stop pedalling. My Cannondale Jekyll is the bike of choice for this type of thing but with big all mountain tyres weighing it down, racing it uphill will always hurt a lot. I forced myself to remember I should never make any assumptions about how my day will turn out in the first 20 agonising minutes of a race and, right enough, as my blood thinned and my lungs opened I managed to find my rhythm. I eventually reached stage 1, dibbed my timing chip and was gone. On this stage I was reminded why I ride a Jekyll. 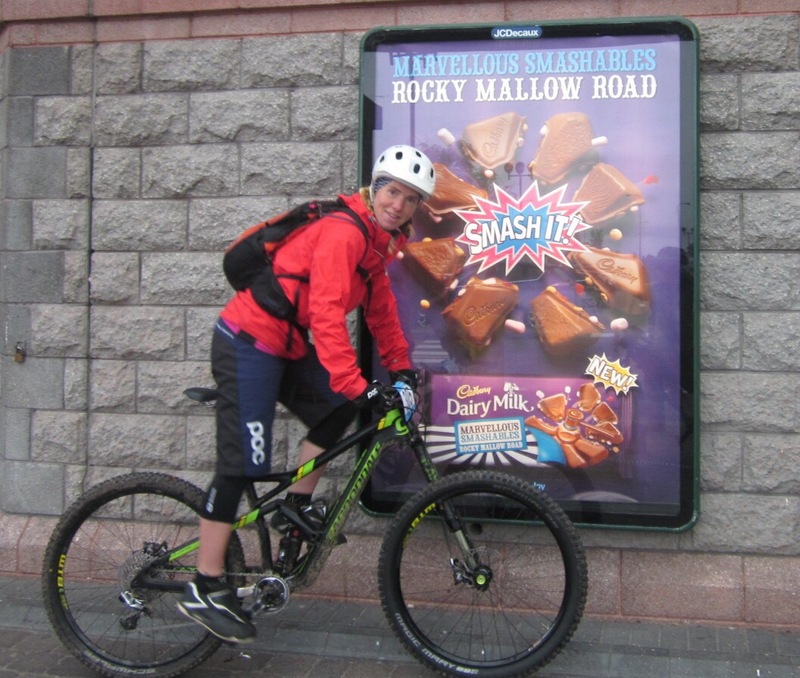 This nimble bike and I didn’t touch the ground that much on the descent into Kinlochleven. While sharp cross drains claimed rider after rider, we kept largely airborne in an effort to avoid to them. This strategy definitely carries its own risks but not the risk of puncturing which can really upset your day (whereas a head injury might just set you back a bit). I reigned it in a bit in an effort to recover some composure before Stage 2 and made my way up to Mamore Lodge on steep double track. It was at this point 2 years ago I missed the start gate and was disqualified from the race so was rather keen not to make the same mistake again. Stage 2 gets you high into the hills but not in a nice way. To the soundtrack of my ragged breath and pounding heart I completed the stage in just under 16 agonising minutes. It was all starting to hurt quite a lot now and I was still not even halfway. I rode steadily to the river crossing and the start of Stage 3. A timed section pushing bikes was going to play to my current strengths. Having just returned from 2 weeks spent hauling a 25kg fully laden Fatbike over the French Alps it was an actual pleasure to push the comparatively light Jekyll over the rough col. I appreciate this may sound a bit tweaked but I’m in good company. A post race analysis with Jenny (who made her mark on the Highalnd Trail 550 earlier in the year) revealed I was not the only one who liked the challenge. (I do remain open to the fact that I just surround myself with people as tweaked as I am so I don’t have to face up to my abnormality. Sorry Jen). The finished in fast, rutted single track and a stream crossing on which I whacked my knee off my stem. I hopped into the finish and drowned my sorrows at the feed station with electrolytes and flapjack before recovering enough composure to get back on the bike and head down the glen. With the end now in sight I summoned all my remaining energy to get to the fourth and final stage and when that didn’t prove enough I took a gel. High on sugar, it was a race against time before the sugar crash which I didn’t quite manage. I got a little out of shape on the final descent but held it together enough to finish in the second fastest female time. With wins on the other 4 stages, the race was in the bag. I finished in 4 hours and 20 mins. Jen came in an hour later beaming her usual infectious smile. She wasn’t even sweating having hauled her fully ridged Stooge round the highlands all day. Hardy. We ate soup and milled about the finish line for a couple of hours before I came to my senses and decided I really must drive down to Glasgow and pack for a 6am flight to Spain the following day. Why, when the riding is so good here, I wondered to myself? But only briefly. Thank you No Fuss and your fabulous marshals for a great event. Thank you Jen for providing the images and being arsed to stop and take them in the first place (and for sharing that infectious smile).